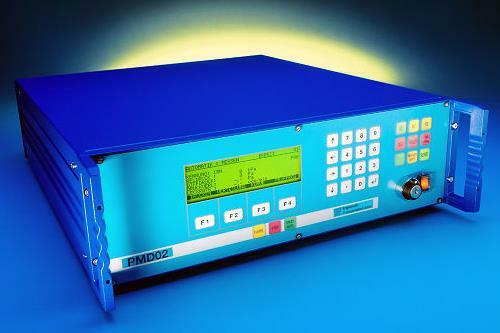 Which test methods are supported by the PMD02? In this case, the test part is filled very quickly from a buffer volume and then the downstream air stream is measured with a mass flow sensor. What pressure ranges are supported in the differential pressure method? Other pressure ranges between the above-mentioned are available on request. What pressure ranges are supported in the mass flow overflow method? Vacuum has also been conditionally possible in this process since 2014. What has to be considered when selecting the method or the configuration? The nature of the test volume is involved (e.g., plastic, metal, etc.)? How big is the test volume? Which test pressure should be used? Which limit leakage should be reliably detected? Which cycle time should be reached? Is there a preferred pressure-acting direction in the test part? Does the test part have a possibility to connect a test tube? Please answer all questions and pass this information to APT in REQUEST. You will immediately receive a suggestion for the optimum inspection of your parts.